Technically, summer isn’t officially done until September 22. That means you still have time for one last summer trip. So, pack up the car and make your way down to Kelowna — just a four-hour drive from Vancouver or one-hour flight from Calgary, Edmonton or Seattle, it&apos;s distant enough to feel like a proper getaway but close enough that you don’t have to venture too far for a great retreat. Here are a few suggestions to add to your to-do list while you’re there. 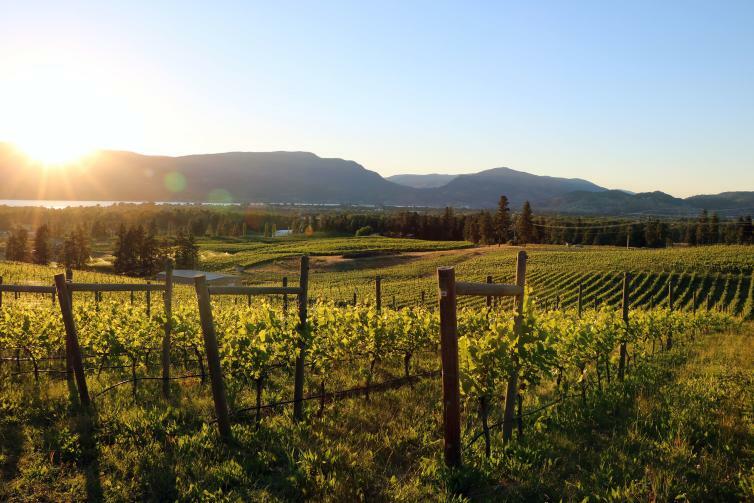 The Lakeshore Wine Route is truly something out of a dream — imagine a windy little road, framed with lush greenery on one side, a sparkling Okanagan Lake on the other, and some of the Okanagan Valley’s best wineries along the way. You’ll find St. Hubertus Estate Winery, Summerhill Pyramid Winery, Tantalus Vineyards and the twice-recognized Canada’s Winery of the Year, CedarCreek Estate Winery. Purchased in 1986 and releasing its first wine the following year, CedarCreek is one of the first eight pioneering wineries of British Columbia. Estate-bottled wine is created strictly from grapes owned by the winery and on its property, never leaving during fermentation, ageing or bottling. CedarCreek — whose philosophy is “respect the land, honour tradition, pursue perfection” — takes the science of winemaking very seriously, employing some of the Okanagan’s most esteemed viticulturists and putting great care, hard work and love into their product. This dedication to the craft has won them countless awards and international acclaim (their 2014 Reisling won gold at San Francisco’s International Wine Competition). 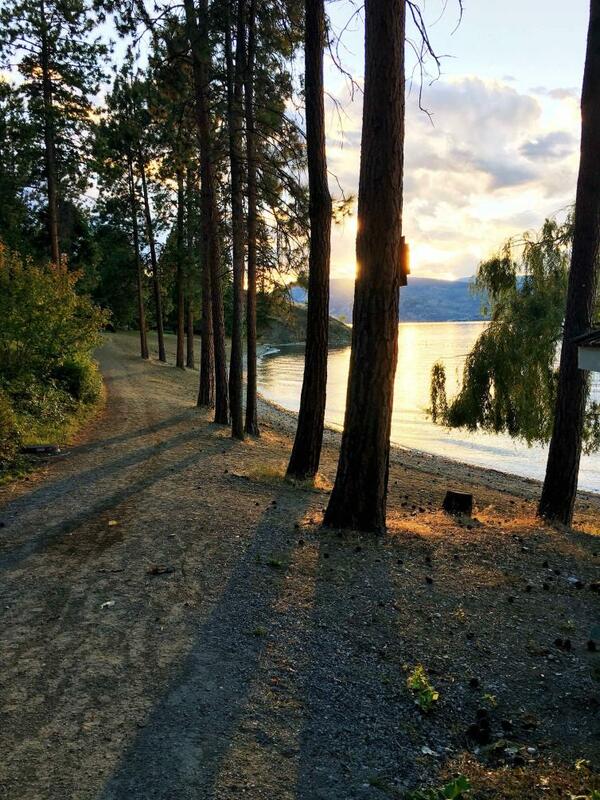 The 17.9 hectare-long Bertram Creek Regional Park sits majestically along the shores of the Okanagan Lake. As you look for parking, you’ll notice a couple of charred trees — remnants of the 2003 fire that destroyed 75 per cent of the park. Aside from that, however, there is virtually no evidence of it as you walk towards the vast, lush green. With numerous walking trails, a massive rocky bluff that leads to the water, a swimming area, a boating dock and grassy playing fields, the park offers endless activities and has something for everyone. There are long stretches of both sandy and rocky beach and, for those who can find it, a tiny secluded space by the water that’s perfect for a little solitude. Make your way down the scenic Lakeshore Drive and pull into the tucked away park entrance to get to the park. Carmelis is a family-run artisan goat cheese boutique, offering a wide variety of cheeses made using traditional cheesemaking techniques the family picked up during many visits to France. All of their products are crafted from 100% goat milk produced at the on-site farm, as well as from organic milk bought from a goat farmer in Grand Forks. The goats, which you can see lounging comfortably in the fresh air just to the side of the shop, are cared for with love and respect, enjoy outstanding living conditions, and consume only natural food. This verifies that the milk they produce meets the highest standards and, therefore, allows Carmelis to create the best quality cheeses possible. Cheeses are available to taste before purchase — try the Goat Gruyere, Beer Soaked Gouda and the Goatgonzola. And be sure to have a scoop of Carmelis’ homemade gelato made from, of course, goat’s milk. The Okanagan is known for its bountiful orchards that produce the sweetest fruit, and one of these orchards has a historic market attached to it — Paynter’s Fruit Market, a Kelowna cornerstone for over 60 years. The family-run business began as roadside table in 1951 and has since grown into a successful independent business that has helped to build a community that truly values their local produce. You can find cherry, apricot, peach, plum, apple, and pear trees in their orchards and fresh vegetables and herbs in their gardens. 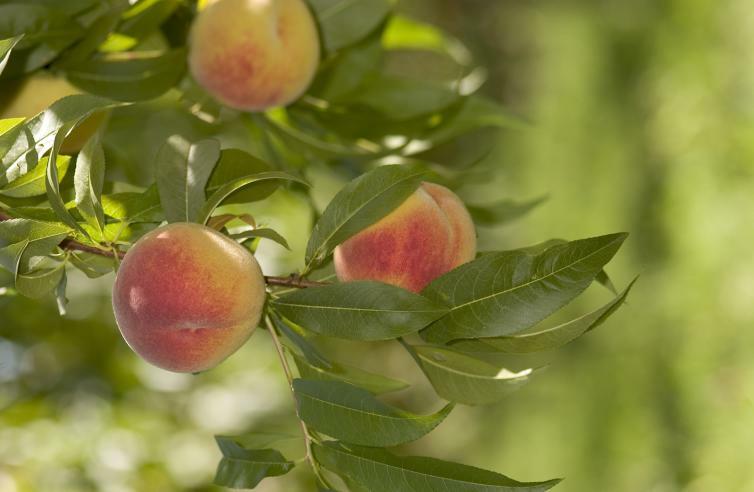 Paynter’s also invites their customers to head into the orchards and pick their own fruits themselves, depending on what’s in season; late August into September sees pears and peaches. If you’d rather choose from the selection at the market, you’ll find a huge selection of other locally grown goodies from strawberries to quince, as well as a variety of Kelowna-made products like hot sauces, coffee and sweets. 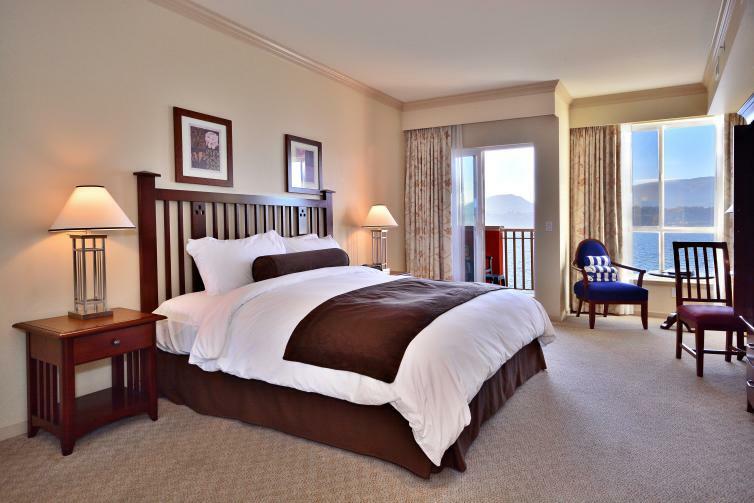 If you’re spending the weekend in Kelowna, book your stay at the Manteo Resort Waterfront Hotel. Each of their beautifully appointed guestrooms have picturesque lake, garden or mountain views, private balconies or patios, and full-service features like flatscreen TVs and luxurious bedding. The resort also has its own boating dock, private sandy beach, and putting green, so there’s no shortage of fun things to do. 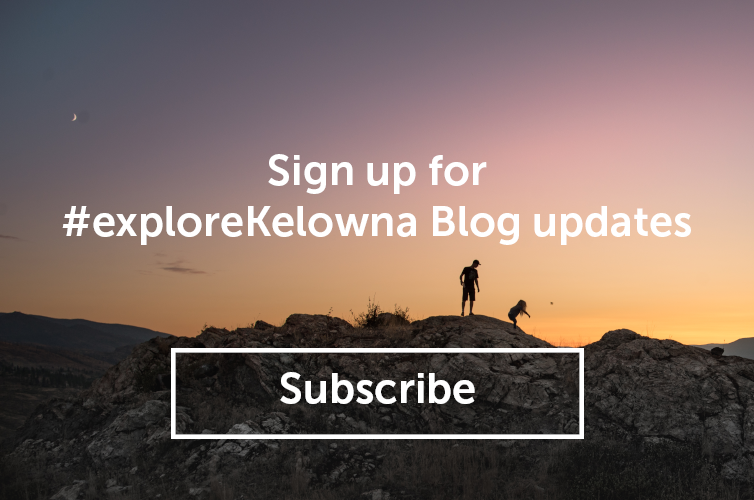 And, with Manteo’s central location, you’ll be able to conveniently access anywhere else in Kelowna that your heart desires.